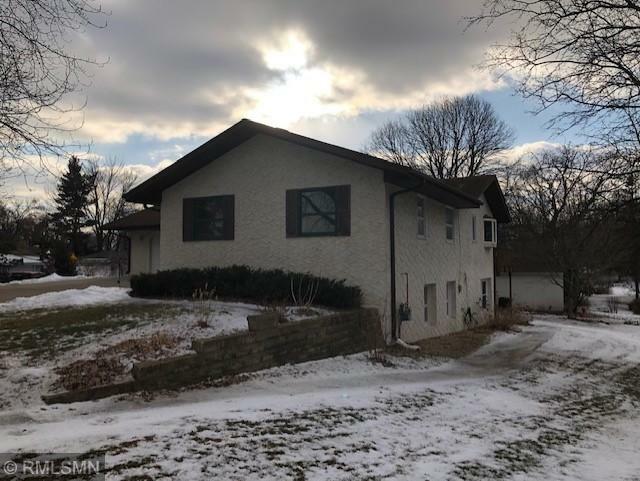 Courtesy of Counselor Realty, Inc.
Fridley W/O rambler views of Craig park and just 2 - 3 blocks from Riverview Hts. park & Mississippi river. Stucco ext. wide concrete drive. Large living room, dining room has sliding door to deck all with views of park, raised panel oak cabinets, S. S. fridge, range & micro, main level hrdwd flrs, vaulted ceiling, wood burn fplc up, gas insert in lower fplc. Db att. gar, large storage shed. Excellent for mother inlaw or multi family setup Pleasurable walk to river. Easy to show, quick poss. Directions - EAST RIVER RD. TO 79TH WEST 1 BLOCK TO FIRWOOD.